Recent trivia question: “What is a baby peacock called?” Our table, being full of non-zoo-goers, had a teensy bit of trouble with this one. 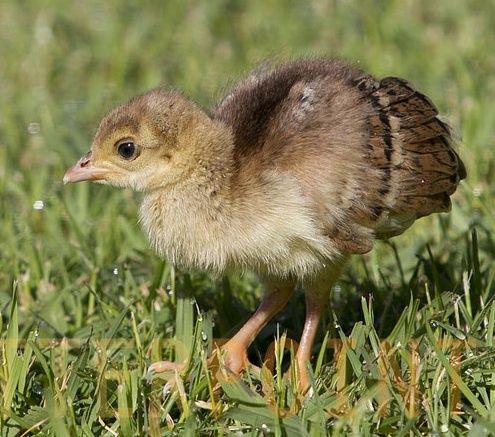 I knew that a peacock’s ladyfriend would be a “peahen,” so I deduced that a baby peacock was a “peachick.” Thankfully, this was correct. I was then asked what a peachick would look like, so I drew my best approximation. 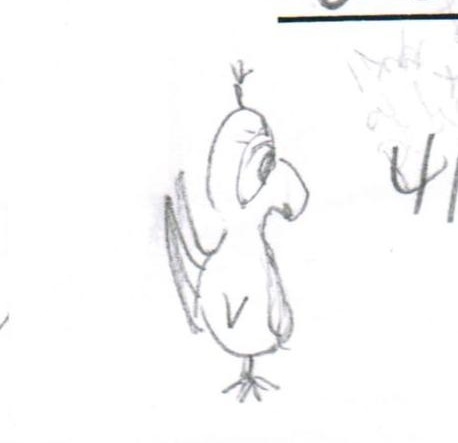 One of the following images is a stock photograph of a peachick in a field of grass, the other is my drawing. See if you can tell the difference. I was recently advised to use chopsticks more often in order to improve finger dexterity, which would in turn improve my artistry. Clearly it has paid off. In unrelated news, I was given parking decal number 007. Could this year possibly be any more awesome?